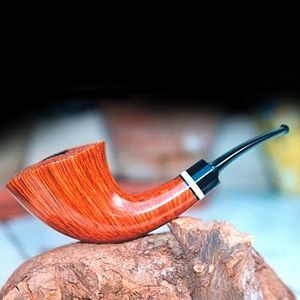 Jess is the son of the famous Danish pipemaker Emil Chonowitsch. He has been making pipes for 30 of his 50 years and still finds it very satisfying. Jess specializes in exclusive freehand style, and he often uses bamboo. 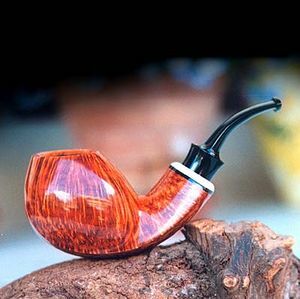 In addition to smooth pipes, he creates some beautiful sandblasted pipes. Jess Chonowitsch grew up in Copenhagen where his father, Emil, was a tobacconist and pipe maker working for Poul Rasmussen (husband to Anne Julie). In 1966 Jess and his father started working in Poul Rasmussen’s workshop. Jess started from the button, repairing pipes. He put on new mouthpieces, cleaned pipes, polished pipes - made pipes new again. It was a good way to learn about the materials. Poul Rasmussen taught him the fundamentals about making pipes. Jess basically learned by doing, since Rasmussen never showed him the actual techniques, but only the final result. This was a good way in the end, although it must have been frustrating at the time. It was up to Jess to develop the technique that would enable him to make things right. This way helped him to develop the solution - both in mind and by hands. About a year and a half into the contract, Poul Rasmussen died and Jess started to work in the W.Ø. Larsen pipe factory. But he needed to learn more about making beautiful pipes, and soon found himself in the workshop of Sixten Ivarsson. 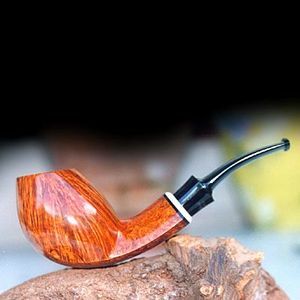 It was under Sixten that Jess learned to use his creativity to discover new models of pipes. Jess finds Sixten the most creative pipe maker at that time – and maybe ever. Jess also learned from Sixten to make the mouthpieces just as creatively as the pipes. Jess stayed with Sixten for two years - then, in 1970, he started his own workshop along side with his father. His father made many of the machines he used to make the classical shapes he learned from Rasmussen. Today Jess and his family lives in a beautiful farmhouse about 40 miles south of Copenhagen where they have balanced their entire life around pipe and family. Each part supports the other. Jess has been making pipes for 30 of his 50 years and he still finds it very satisfying. He finds his work much easier now and for the past 10 years. He has a lot of customers all over the world, which means he can make many different shapes and sizes and still have a market for them. 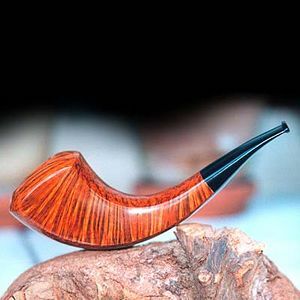 In addition to smooth pipes, he creates some beautiful sandblasted pipes – but only when he has to. 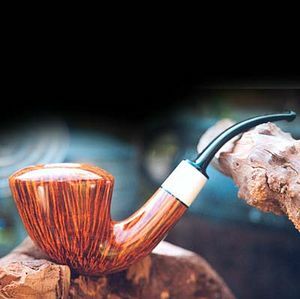 There are two types of quality in a finished pipe: one of look and feel, and the other technical. Jess masters technical perfection as well as balance, design and finish. 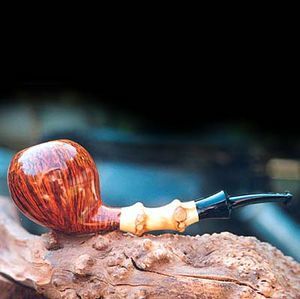 Although he strives for perfection in every pipe, every now and then he creates something extra special. Those pipes are stamped with a special "bird" stamp. All his pipes are stamped with the name Chonowitsch at the top of a circle, Denmark at the bottom and Jess in the center. On pipes with bamboo shank, Jess uses a straight stamp in order not to chrush the fibers in the bamboo. No other nomenclature is used. Jess is very particular about the briar he uses, and just as careful about the drying of it. He controls the humidity over an 18-24 months period, reducing it very slowly. He gets his briar from Corsica and Greece. This page was last edited on 12 June 2008, at 07:34.